More expensive "biologic" treatments and the end of a period when Canadians saw cost savings as patents expired and generics flooded the market driving growth in pharmaceutical prices, experts say. Hospitals still account for the biggest portion of heath-care spending in Canada but drugs are the fastest-growing expense, according to new data released Tuesday. Total health spending is expected to reach $242 billion in Canada in 2017, or $6,604 per Canadian, according to the Canadian Institute for Health Information (CIHI). That's an increase of almost $200 per person over 2016. The report says the costs vary across the country — with the highest health-care spending in Canada's north. In the Northwest Territories, the cost per person is $17,150. In the provinces, health-care costs per person range from $7,378 in Newfoundland and Labrador to $6,321 in British Columbia. Hospitals account for 28.3 per cent of health-care spending in Canada, at a per capita cost of $1,871 per Canadian. Drugs cost $1,086 per Canadian when averaged across the population, making up 16.4 per cent of total health costs. Physician costs round out the top three spending drivers, at 15.4 per cent per Canadian, or $1,014 per person. But drug costs are expected to grow the fastest, by 4.2 per cent per person in 2017. Hospital spending, on the other hand, is only estimated to grow by 1.9 per cent and physician costs by 3.4 per cent. Growth in drug costs per person "has outpaced that for hospitals or physicians in recent years," the CIHI report says. More expensive drugs entering the market in recent years — including "biologics" to treat chronic inflammatory diseases, including arthritis — are a significant cost driver for prescription drugs, said Michael Hunt, who oversees CIHI's research on spending and primary care. Biologics are made from or in living organisms, including cells and tissues, and can be gene based. They tend to be more complex to manufacture, Hunt said, than drugs that are made from chemicals, and therefore cost more. Average drug prices actually rose even higher in Canada last year, he said, after the introduction of an expensive cure for hepatitis C in 2014. The cost of generic drugs is also at play. A few years ago, patents expired on many popular brand-name drugs. Less expensive generics flooded the market, leading to "significant" savings. But those savings are now tapering off, Hunt said. Because prescription drugs are not covered by universal health care in Canada, each province and territory has come up with their own "public" system to cover some vulnerable members of the population, such as seniors or people on social assistance, Hunt said. Those public systems pay for about 40 per cent of prescription drug costs in Canada. The other 60 per cent are paid for by private insurance companies (including those used in employee drug plans) or out of patients' pockets. Regardless of who's paying, the report shows that pharmaceuticals "continue to take a significant portion of our health-care dollars," Hunt said. "The report ... puts it there in front of us [and] actually says, 'You know, this is something you have to keep an eye on.'" 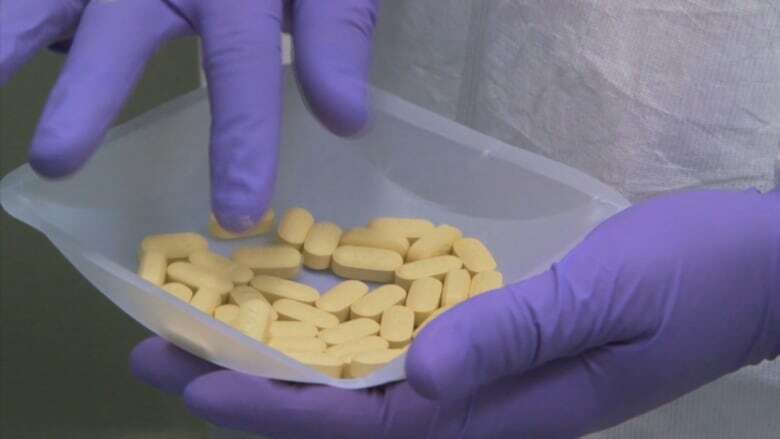 Steve Morgan, a professor of health policy at the University of British Columbia specializing in pharmaceutical policies, said Canada is behind other countries in controlling rising drug costs. Canada's mixed public-private payer system leads to a "fragmentation of our purchasing power," he argues. If the jurisdictions that fund some form of public drug system (the provinces, territories and the federal non-insured health benefits program for Indigenous people) want to negotiate lower prices with pharmaceutical companies, their buying clout can be undermined by private insurance companies. "[It's] like a couple going into a car dealership, and one of the two partners is saying out loud to the dealer, 'Honey, we need the car by the weekend,'" Morgan said. The best solution, Morgan said, is a national pharmacare program that would determine what treatments are covered and at what price, which would allow for tougher negotiations with global drug companies. "That drug plan suddenly becomes one of the biggest purchasers of medicine in the world and it begins to exercise a power with manufacturers that we don't have in Canada," he said, pointing to a report recently released by the Parliamentary Budget Office saying that such a program could save $4.2 billion a year. Canada is the only "rich" country with has universal health care, but not universal drug coverage, Morgan said. If the country doesn't change its approach to negotiating drug prices — whether it's a national pharmacare plan or provinces, territories and private insurers taking a harder line with pharmaceutical companies — costs will continue to climb, he added. The institute says the overall spending growth rate is slightly higher than the annual average of 3.2 per cent that has been recorded since 2010. The numbers in the report include both publicly funded care, such as hospitals and doctor visits, and privately funded care, such as prescription drug costs (whether paid by individual patients or by drug plans), and other services such as physiotherapy and private home care and long-term care services.